Don't worry, hope is only about 3.5 miles away. 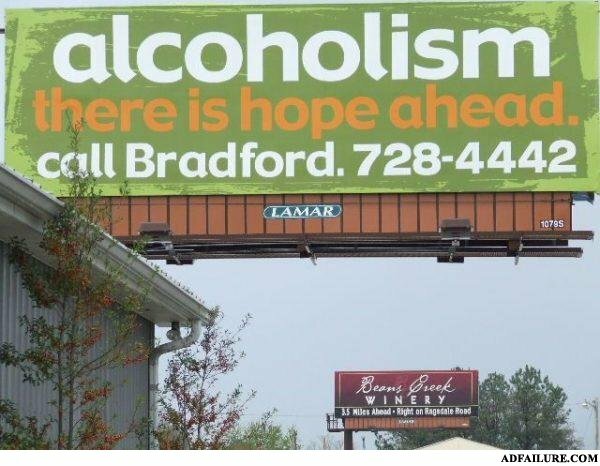 Alcoholism, the only solution for the Alcoholism. Don`t worry, the solution is only 3.5 miles away! Hey Bradford! How much for a pint? Suffering from alcoholism simply means that you aren't getting enough booze, ill go away if you just keep drinking enough. Irony: There is no use for it on websites.... Adfailure.com!